After designing new primers for use in Withering Syndrome phage (RLOv) identification on 20150706, ran Primer-BLAST via NCBI’s website to assess primer specificity. Ran Primer-BLAST with each primer set against the NCBI nr Viruses (Tax ID:10239 ) and Prokaryotes (Tax ID: 2) nucleotide databases. Excluded uncultured/environmental samples from the databases. The general setting for the Primer-BLASTs can be seen in the screen capture below. Entered in each primer set in the “Primer Parameters” boxes. The Primer-BLAST only exhibits an output if either of the primers produce a match. When primers do have a match in the database, an alignment of primer(s) is shown on the matching template. Dots in the alignment are exact nucleotide matches, whereas mismatched nucleotides are simply displayed with their corresponding letter in the alignment. This shows some matching to a single template and only with the forward primer. It should be fine to use for ISH. The forward primer and the reverse primer show some matching, but those matches exist in two different species. As such, these primers should be fine for use in ISH. Stan Langevin recently annotated the Withering Syndrome (WS) bacteriophage genome he previously assembled. Additionally, after discussing with Carolyn, they decided on two new potential qPCR targets and three potential in-situ hybridization (ISH) targets. Stan provided a FASTA file with the five sequences and primers were designed using Primer3Plus. 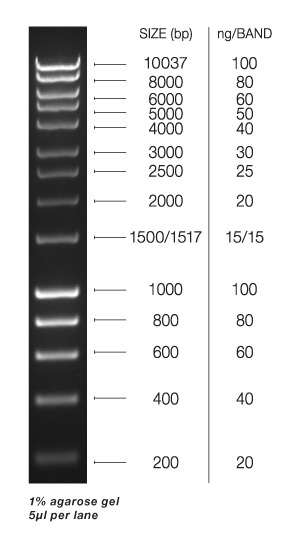 For qPCR primers, amplicon length range was set to 150-250bp. Additionally, I had Primer3Plus design an internal primer for potential future use as a fluorescent probe, should we ever establish one of these qPCRs as a validated WS phage assay. The ISH primers amplicon length range was set to 400-500bp. All primers (excluding probes) will be ordered from IDT. Slides were counter stained with 0.05% aqueous Bismark Brown Y for 3mins @ RT. Tissues were blocked with Blocking Buffer (Buffer 1 + 2% sheep serum + 0.3% Triton-X 100) for 1hr @ RT (500uL on each slide). Antibody solution – Diluted alkaline phosphatase-labelled sheep anti-DIG 1:1000 in Blocking Buffer. Added 1mL of antibody solution to each slide and incubated without a cover slip for 2hrs @ RT. Incubated slides in substrate solution (10mL Buffer 2 + 45uL NBT [nitroblue tetrazolium] + 25uL BCIP) O/N @ RT. Selected three unstained abalone post-esophagus sections from samples positive for the phage (08:36-17B 2-4) and three unstained sections negative for phage (08:13-5A 7-9). All slides were processed in a single, vertical glass slide incubator, unless noted. Slides were incubated 30mins in Prehybridization Buffer (50% deionized formamide, 4x SSC) @ 53C. Prepared probes (from 20141008) by boiling 3mins and immediately incubating in ice water bath for 30mins. Probes were diluted 1:300 in 600uL of Prehybridization Buffer. Both negative control probes were combined into a single dilution.